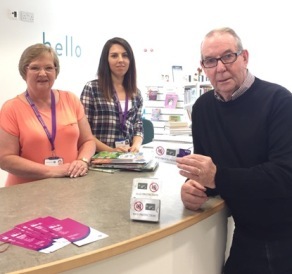 The Garioch & North Marr Commuity Safety Group has purchased a supply of Card Minders and distributed them to Libraries in the Garioch and North Marr areas (Westhill, Inverurie, Kintore, Kemnay, Insch, Huntly and Alford). The initial supply of 100 protectors has been snapped up already. The Garioch & North Marr Commuity Safety Group is purchasing another supply and these will appear in Libraries in the coming weeks. "Users of these credit and debit bank cards are not always aware as to how easy it is for details from your card to be copied. Criminals with scamming equipment standing close to you can copy your personal details onto his device. It's frightening to realise how easy it is to be scammed." 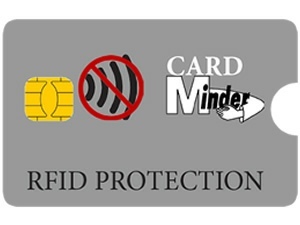 "Police Scotland commends Garioch and North Marr Community Safety Group for providing their communities with a product that aims to deliver an extra layer of protection against bank and credit card details being obtained and used for criminal gain."